Sutton Green is The Perfect Venue for society, corporate and company golf days.! Here at Sutton Green we have expertise in holding society and company golf days. We have various options available, and are happy to tailor the day to your specific requirements. The Club can facilitate Society or Company groups from 12-110, with casual or formal dining. The experienced and friendly team here at Sutton Green will ensure your day runs smoothly and is enjoyable for all your members and guests. Societies enjoy prestige golf on a private and secluded course, with the course carefully designed to allow golfers at every level enjoyment all year round. The greens and tees are in immaculate condition, and fairway watering ensures lush green fairways. As well as 18 and 36 hole golf packages, we also offer 27 holes due to the 10th tee being adjacent to the clubhouse. At Sutton Green we ensure that every golf event is special, and we work very closely with the organiser to custom build their perfect golf day. Our clubhouse provides the perfect hospitality venue for your day and offers many options for dining. As well as a private dining room the bar and patio provides a great area to dine and view the golf course and other players. Sutton Green has built a great reputation for successful society golf days and many societies return year after year. This is due to the quality of the golf course; affordable golf packages; clubhouse environment and excellent food! 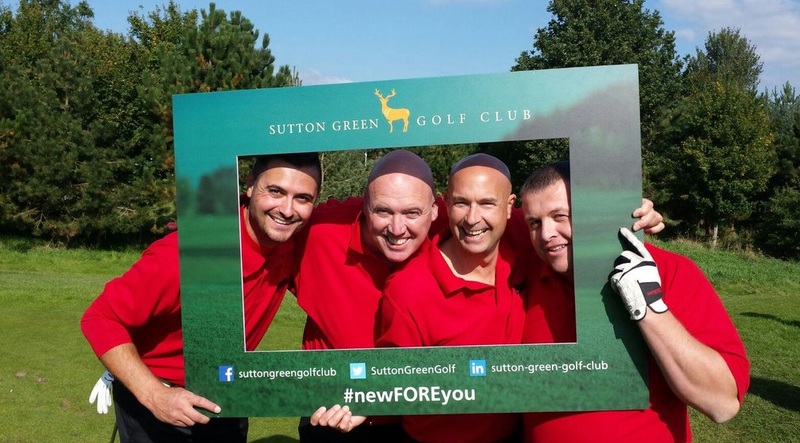 Companies find corporate golf days the ideal way to entertain clients and at Sutton Green Golf Club we reflect your standard of care and attention which you provide your clients in your every day business relationship. We recognise how important your golf day is to your company and every detail will be finalised to achieve a successful day. For further information on packages view the Summer and Winter societies pages. Want to add something really special to your corporate golf day? Find out about booking Dame Laura Davies to create a completely unqiue experience. And if you are looking for a professional photographer to capture your golf day we can highly recommend David Brenes Photography. He has completed numerous shoots at the course to a fantastic standard. Find out more and get in touch at www.davidbrenes.co.uk.